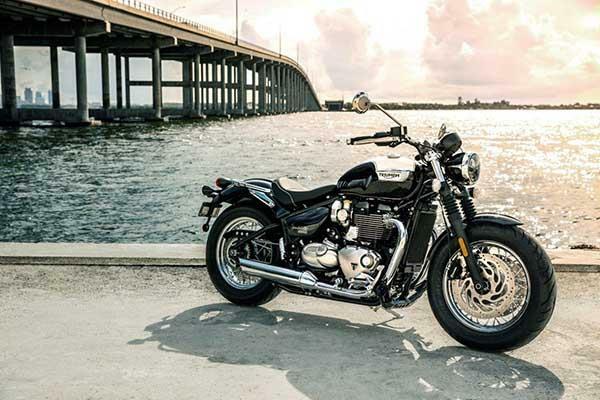 The National Motorcycle Museum’s winter raffle is drawing to a close, but there is still time to enter for the chance to win a brand new Triumph Bonneville Speedmaster. First prize in the competition, the Speedmaster is worth £11,650 and could be yours for the price of a £2 entry ticket. Second prize is a luxury hotel break at The Manor Hotel, Meriden, plus dinner for two at the Marco Pierre White Steakhouse while third prize is a Triumph Visitor Experience Factory Tour for two. Tickets cost £2 each and can be bought from the National Motorcycle Museum by calling (01675) 444123 or clicking here to visit their website, where you can also find full T&Cs. The draw will take place on Sunday April 22 at the International Classic Motorcycle Show, Stafford. A large number of trophies were stolen from the National Motorcycle Museum in Birmingham last night.